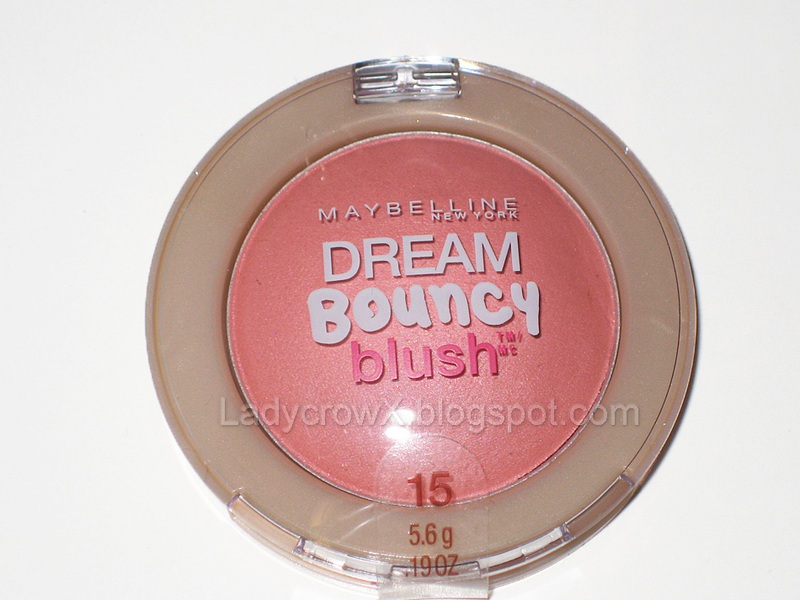 Last week I stopped at my local Walgreen's to pick up the Maybelline Color Tattoo 24-Hour Eyeshadows and I happened upon these new Maybelline Dream Bouncy Blush. I don't own a TON of blushes really since my collection consist of mainly eye products but I thought the shades looked pretty so I grabbed two of them. 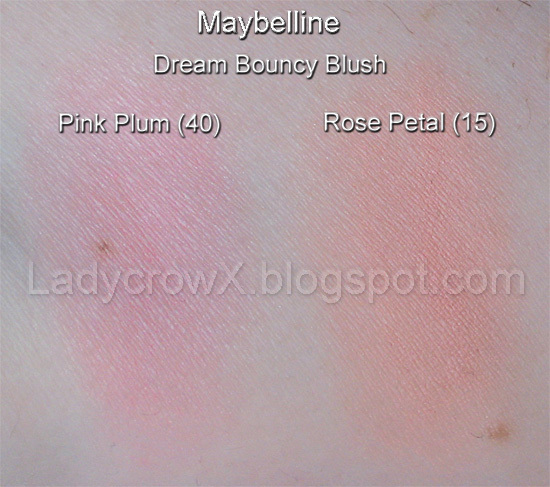 They had these blushes for Buy One Get One 50% Off which is why I picked up two of them, they retail there for $6.99 so I got the second for half off that. • Revolutionary gel formula provides a new bouncy texture. 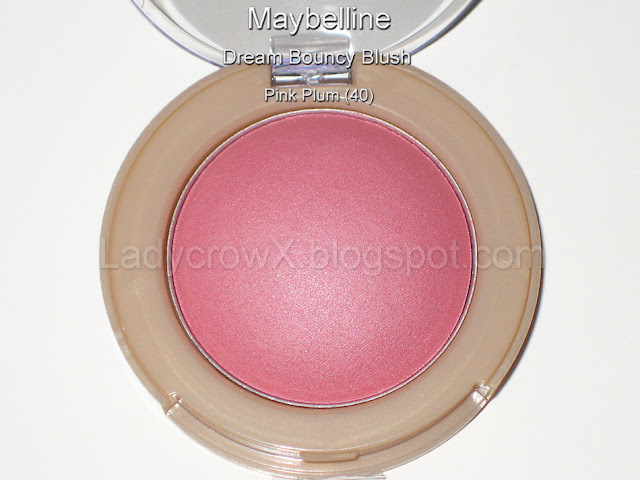 With your fingertips, blend a small amount of blush onto the apples of your cheeks, applying from your cheekbones to your temples. 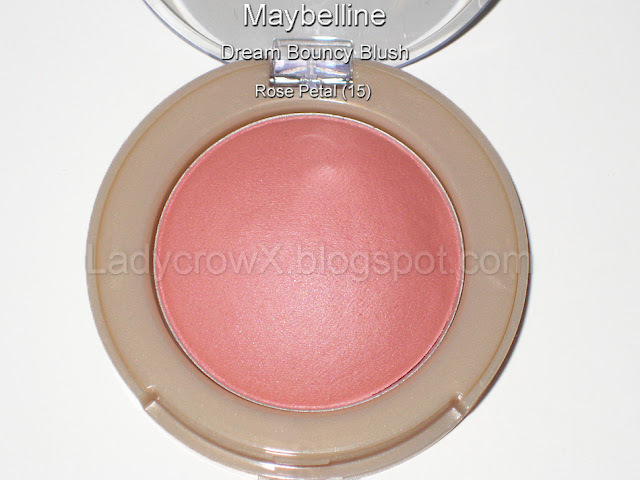 To build color intensity, apply more blush." Note: Not all skin types may have the same reaction to this product as myself, so you may not have the same results as me as far as wear time, ect. Pros: I found this is very lightweight feeling, it is buildable, it does seem to melt seamlessly when I apply it. It also doesn't bother my sensitive skin, ome people have said it's not very bendable but I personally had no issues with this. Cons: Honestly I found no con for this blush, I really love how it feels and looks on my skin. I have heard that the pigmentation may not be enough for darker skin tones though, I personally can not put this as a con because I haven't been able to test that aspect out. 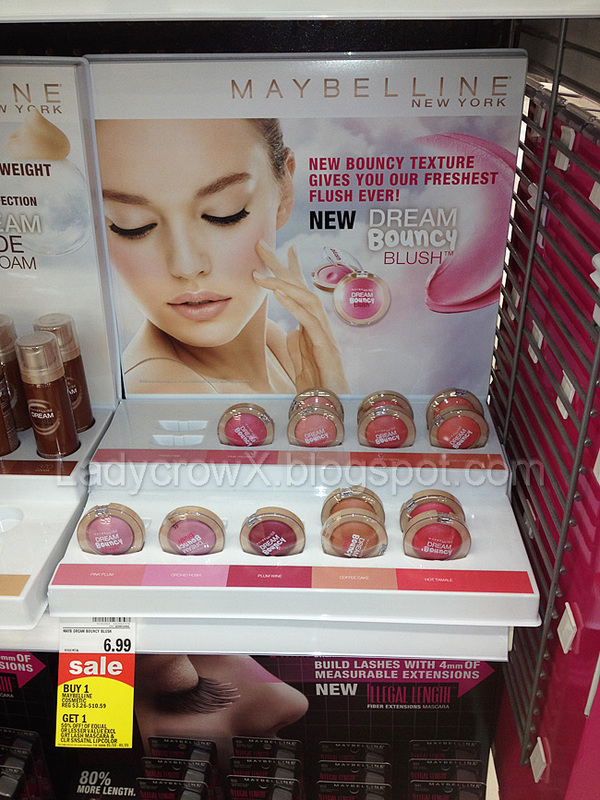 They have 10 different shades of these ranging from pink, coral, to brown tones. Would I purchase again? : Absolutely!! 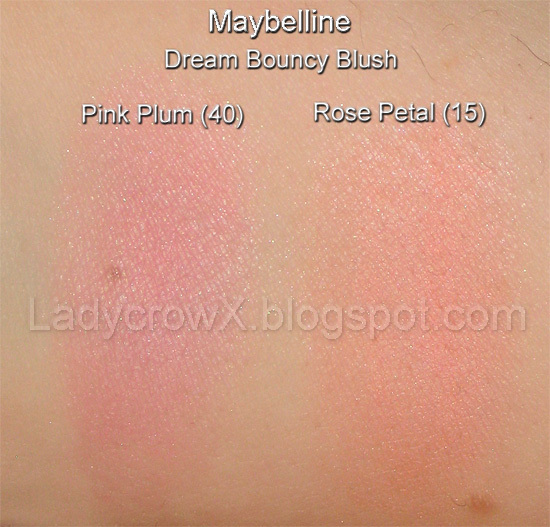 I love these blushes, the way it feels on my skin and shades I picked up look great on my pale skin as well. I plan on trying to purchase the others when I can talk the husband into letting me splurge. 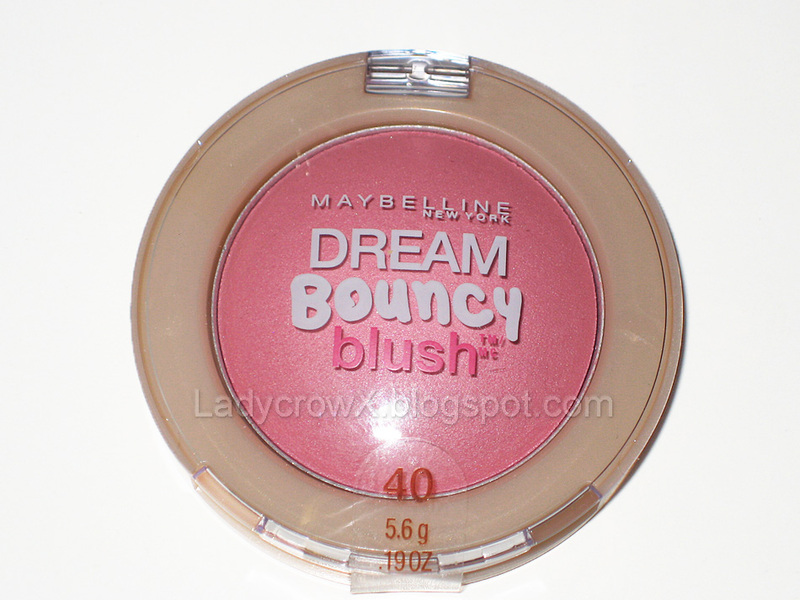 You and another blogger (Painted Ladies) were the only positive reviewers of this product. So, I bought "Hot Tamale" and have been very happily impressed despite the fact I don't normally care to use cream blushes. Good color payoff, lasted all day, and looking forward to trying another 1 or 2 other colors :) Thanks!